THE 2019 PAC (Performing Arts Center) concept plan was presented to City Council recently by Ron Fawcett. This proposal is a step forward from the 2015 proposal that was rejected by voters.We do, however, still have a few questions to be answered (see below). Here at the North Shore BIA, we understand the return on investment for having a bright and shining Art Hub in the City. In fact, last year I was out pitching it for the current Henry Grube Center site. I finally met with North Thompson MLA and former Mayor Peter Milobar last last spring to see if we could get any momentum on the site. It was then that I learned that the City had already done work to determine feasibility. I learned that due to the alluvial fan (silt) that makes up the site, extensive piling work would be required (the cost of which would be extravagant let alone federal approvals to do the work), the site would also need extensive re-engineering to accommodate traffic flows, intersections and emergency routes. All that to say, before we even lifted a shovel we would have to level a neighbourhood, clear the site, and get approvals. It was a no go. 1) The site already exists and while some work will need to be done, it’s not that much compared to other sites. 2) The site does provide a jewel to our downtown core, which is in many ways the core of our corporate (larger offices, health care, civic operations, etc) economic output. 3) Arts are entrenched in the core and have been for years. 4) Existing facilities are beginning to age and are not sized to maximize opportunities. We hope that members, Council and our neighbours understand that our goal on the Shore (and the reason we support this vision) is to develop a community wide Arts and Culture strategy; one that incorporates a variety of venues, in areas of the city, and artistic options. We know that this site will take 5-7 years to develop once we have a go ahead, but we also know that many smaller arts venues, such as the one slated for the new Clapperton building on the Shore, will help to fill the gap and prepare the city for its jewel to be revealed. Make no mistake. We on the Shore would love to have the Performing Arts Centre here. However, we also understand the value of community wide development that supports all sides of the river, all elevations. 1) Assess the current parkade infrastructure to determine what needs to be upgraded and make that part of a community master plan for the downtown which includes the Arts Centre. 2) Seek opportunities to plan for transportation beyond the downtown core. Once again, a downtown centrist plan is being undertaken, but you have to get on transit to get to the core.. it should all be addressed at the same time. For example there is no bus service to or from our airport or the new SPCA. 3) Think environmental stewardship such as LEED or other designations which reduce operating costs for a building of this size. 4) Open it to all, meaning that small exhibitors, buskers, stage acts and alternate theatre should be included in users of the space. 5) Look at options to utilize the space for conferences and other events outside the standard arts and culture spectrum. 6) Support your outlying arts facilities, whether they are city or private/corporate. The more we, as citizens, support the Arts the more chance we have of sustaining a great building and culture. 7) Finally, thank the Fawcetts the next time you see them. They aren’t always in the limelight, but they are always incredible supporters of our community. 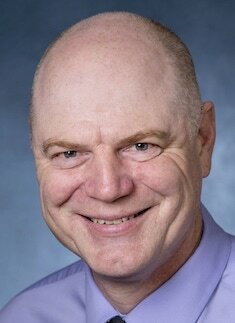 Jeremy Heighton is executive director of the North Shore Business Improvement Association. He has lectured on leadership and business around the world. This article was first published in the NSBIA newsletter. Something doesn’t sit right with me about this project. Trying to look ahead a couple of generations, should there not be some thought put into an integration of the performing arts and culture of the First Nations people? Naming a bike & pedestrian pathway is a small step but not much more than a token. The TIB have a rich history and express their “performing arts” in a different way to what might be more a European tradition. We and the rest of the world have a lot to learn from the culture of Indigenous people. They happen to have some marvellous property along the South Thompson River and some elbow room for adequate parking. How many thousand people from other countries visit our region every year because of Rocky Mountain Rail Tours? What an opportunity to showcase a co-operative effort with long term vision! 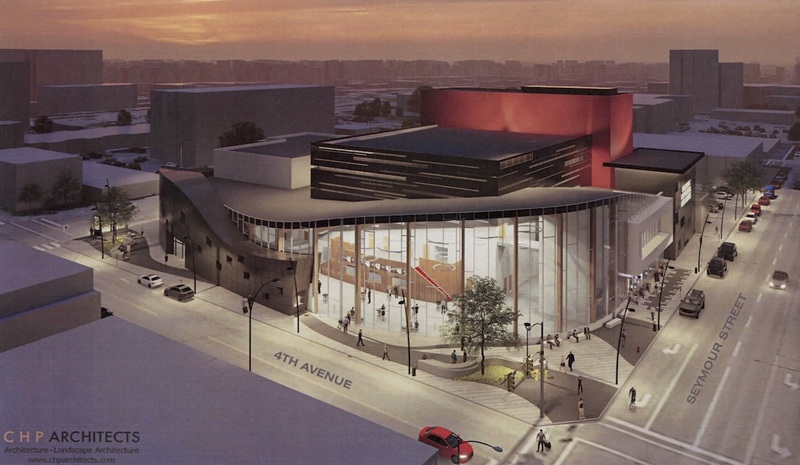 Maybe a larger acceptance of a vision for a Performing Arts Cultural Centre could be realized and marketed internationally by thinking outside the box and outside of the downtown core. Nice to read your opinions Mr. “Shore” Heighton…can’t quite understand the # 3 reason and the # 4 reason though. As for the parkade…that thought keeps in coming back. The new PAC proposal does away with a parkade underneath it making it cheaper. However that cheapness is only skin deep…because on any given sold out 1200 seats performance upwards of 500 vehicles will need accommodating…why not use the existing parkades on Seymour and Lansdowne one asks? I know councilor Dudy is trying to build a parkade at Heritage House under the name “Farmers market” but we understand it is the parkade! Moreover, any new building will add to the carbon footprint of the city regardless of the LEED lipstick…but I understand we must prepare to “look the other way” because it is the future, right? Please remember the future should be…in regards to the ability of conducting human activities in an increasing polluted planet faced with the great uncertainties associated/caused by climate change…which is in partly fueled by more LEED-certiifed building everywhere! Thank you for the honest conversation and thank you for letting me sharing some of my thoughts. This seems a very well thought out plan. Thank you for it!